Facebook and Instagram are huge channels for customer acquisition but AppSumo.com had been having trouble getting them to convert profitable for their daily software deals. The other challenge that this company faced was launching a new product into the market using Facebook, email, and Reddit as some of the key acquisition channels. We revamped the entire Facebook account to improve the ads, targeting, customer funnel and messaging. We were able to turn Facebook into their largest acquisition funnel within 2 months. The launch of Briefcase (all in 1 software marketing subscription) was hugely successful. A large part of the success was due to the high volume of targeted traffic driven from Facebook and Reddit. We were able to scale this to over 1000 monthly active users within 2 months at a very profitable CPA. Utilize the Facebook ad network to make complex targeting combinations. Targeted ads and audiences to re-engage past visitors, customers, and lead lists. 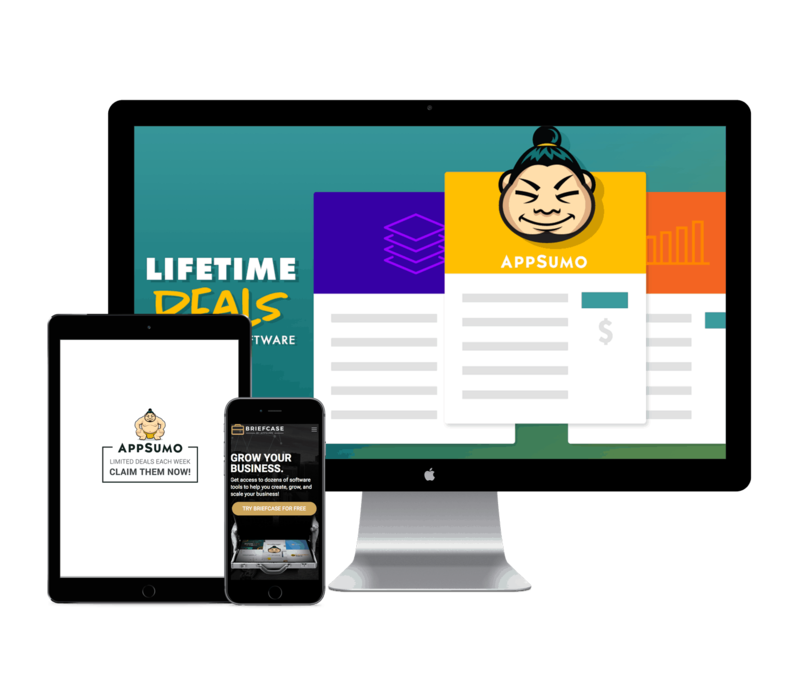 We created specific ads, targeting, and messaging to create fear of missing out on AppSumo’s flash deals. We also improved the ad text & creative types to get better ROI and lower CPC’s for Appsumo and Briefcase. We were able to completely turn around AppSumo’s Facebook strategy and take it from an unprofitable channel to one of the largest acquisition channels reaching monthly six-figure spends.